Mayoral candidate Benny Napoleon, who has cast his opponent as an outsider who relies heavily on suburban donations, raised 42% of his campaign cash from out-of-staters between July 22 and Aug. 26, the latest period for campaign disclosures. Napoleon raised $37,000 from CEOs, attorneys and contractors from outside the state and nearly $30,000 from the suburbs. By contrast, he raised just $21,500 from inside the city. 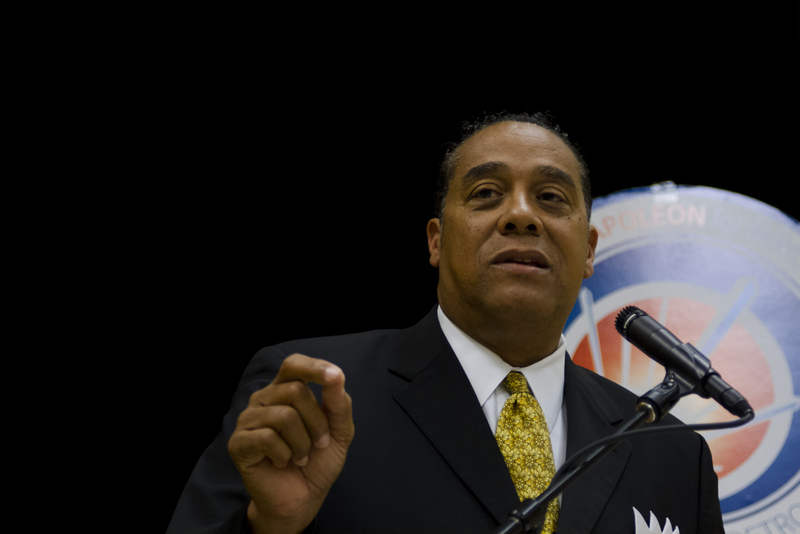 His opponent, Mike Duggan, collected 4.7% of his campaign chest from outside the state. Napoleon’s campaign defended the outside donations. More than 50 out-of-staters donated to Napoleon’s campaign. Napoleon and Duggan are squaring off in the general election in November. Sounds expensive. Those aren’t the kind of people you want to owe. They expect something in return. Haven’t we had enough of those kind of politicians? Did he pledge to work harder and hit 50%? Because 42% seems kind of weak. So he’s beholden to folks who don’t even live in Michigan and he calls Duggan an outsider? Wow! Total fail. I’ll be glad when this landslide is over and Mayor Duggan is sworn in.